I'm back with you today sharing what was in my latest Target Beauty Box(es) for the month of July! I'm glad you asked! 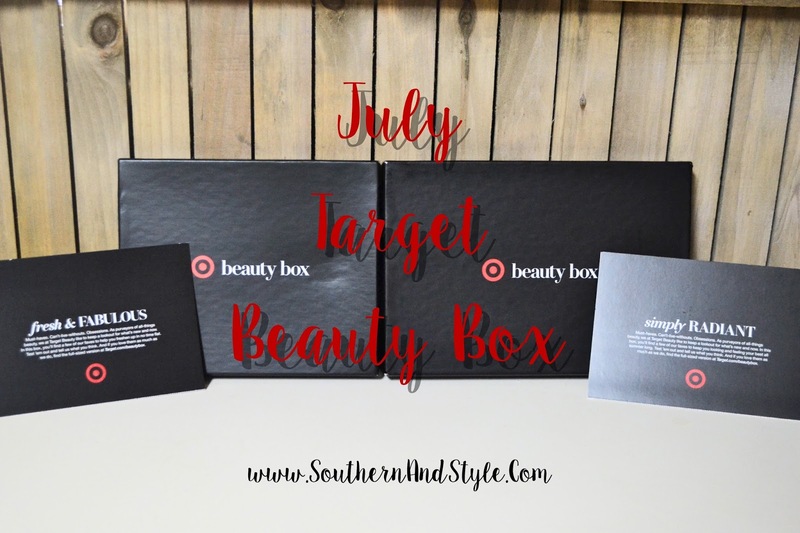 Target's Beauty Box isn't like your regular monthly beauty subscription like BirchBox or Ipsy, instead it's more of a "surprise" because Target never advertises when it's going to be released. Another great question, the boxes range from $5-$10 from what I've seen, obviously the higher dollar price the more/larger products are included in the box. This month there were 2 boxes (some months there are only one, some months there is one for men & one for women, etc.) and both were $7. How can I find out when they're released? You can try to check back to Target's website daily at the beginning of each new month & see if you can catch it, but your foolproof way is to "like" my page Southern & Style on Facebook because I always post the link as soon as the boxes are up! You can also follow me on Twitter, my handle is @SouthAndStyle, I tweet the link to the boxes out as well. Now that all those details are worked out-let's get into the two boxes! I'll share all of the products with you, let you know what I think, and then I'll pick a winning box! Although these shampoo and conditioner smell really nice, I don't color my hair (fun fact, I've never colored my hair!) so I'll be passing these on to my mom or sister. So normally I would be irritated, really irritated to get two shampoos in one box-but I really am excited to try this one, because I suffer from oily roots and dry ends so badly. Of course I haven't tried this one yet, but I can say that I'm happy to see some actual makeup/beauty in this box! I love trying out new mascaras and the packaging on this one is really nice. I love getting little pots like these! Basically it's great for everything! I'll either be tossing this in my bag or keeping it in my emergency bag at my desk just in case. I'm almost out of my Exuviance Cream Cleanser, so I'll be trying this one out after that's done. It has a really nice, fresh scent that I'm excited about. I'm also looking forward to using this, after I finish up my Tula eye cream. I love pampering my skin and notice a true difference when I use products that take care of it, I'll have to let y'all know how this stands up to my Tula one! I have never, ever heard of a product like this one, but I'm excited to try it! I'm always looking for a quick way to add some lift and body to my roots so I'm more than willing to try it. I have actually heard several people mention this brand so I'm going to hope that it's a good one! We've got a couple of trips coming up, so I'll be glad to have a travel toothpaste for my toiletry bag. This lipstick is so, so creamy. I love the color but unfortunately it isn't really a summer shade, so I'll hold on to it until Fall. I love using a daily moisturizer with SPF in it, and I'm slowly working my way through my stash since I've been better about moisturizing twice daily. I love the idea of having these on hand, they're so small so they can be tucked into a purse or gym bag, even a backpack if you're going to school. I'm thinking they would be great for spills, sticky hands, sweat, or even if you get stuck in a stall with no TP! These smell really nice, and once again I love having travel sized shampoos/conditioners on hand (even if I just use them because I'm too lazy to go to the store and pick up a full size new shampoo). But I'm so sick of shampoo being in every single box, let's get some more makeup! Well, normally people would assume the bigger box would win, but not in this case! I am going to have to choose the smaller box because I really like the idea of those individually wrapped wipes, the NYX lipstick, and the root lifter. I think they're both pretty nice boxes as far as value goes though, & I'm trying things that I normally would not try. If you could pick a winning box (or a winning product) which would it be? Some boxes are disappointing this one looks like it has some great products. I've never gotten one of the Target boxes, but this one looks like a great one! This box sounds amazing- I'll have to try it out! 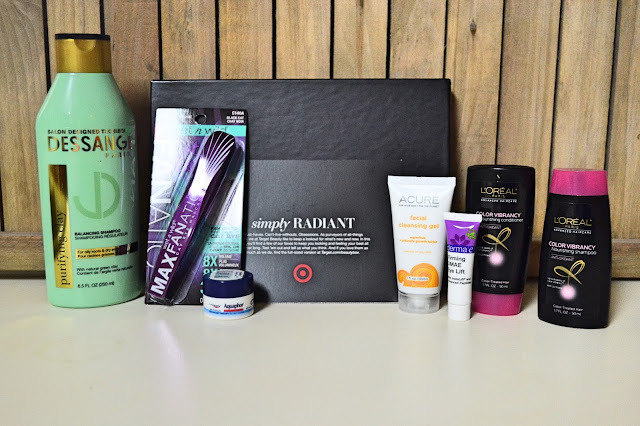 I've never tried a Target box but it seems like such a fun way to sample new products! I was finally able to get my hands on one this month! I got the Fresh & Fabulous and love everything in it, especially the Sweet Spot On the Go wipes. I'll be purchasing these again, soon! Fingers crossed that I can get my hands on Augusts' box because these are so fun and affordable. Wow some great products in there! The only subscription box I have tried was for my kitties. I am so picky with beauty products and feel like a lot would go to waste. Though these look like good ones! I didn't purchase the boxes this month though I did find it interesting that there were two. I wonder if that'll happen again! Looks like you got some fun stuff in your surprise box! Gotta remember to do these subscription boxes. Seems so fun!! I didn't know that Target did a beauty box! I might be up for that one! I didn't even know that Target had boxes like this! I'll definitely have to try and snag the next one. I have never heard of these before, your boxes look so great!! I didn't know Target had a beauty box, how fun! I love the idea of the Target beauty boxes but I always forget by the time they have relaunched so I am forever missing out! I have heard a lot of good things about the target beauty box. I have not yet signed up for it. I will have to check it out soon! Well that is so fun! I love the little surprise element! This sounds awesome! I want the target beauty bag! It looks like a pretty good value of products in there. I'll definitely have to look into this! This is so nifty!! Totally didn't know Target had a beauty box. Love seeing all the goodies. Travel sized things really are the best! Sounds like you had a lot of fun things to try out and I love that Target is getting in on the subscription boxes! I normally wouldn't be interested in a beauty box. However, the products you're showing in these are those I'd actually use. I'm glad you shared Target has them! Target is the best! Looks like you got the best products! This box is pretty awesome. So is my correction correct that you must purchase every box you are sent? Like it isn't recurring payments since it isn't a subscription service? That's right! They release them usually around the beginning of each month & you have to visit the website to purchase-they aren't a subscription box! What a fun array of products! I just wrote a review for this box, too. 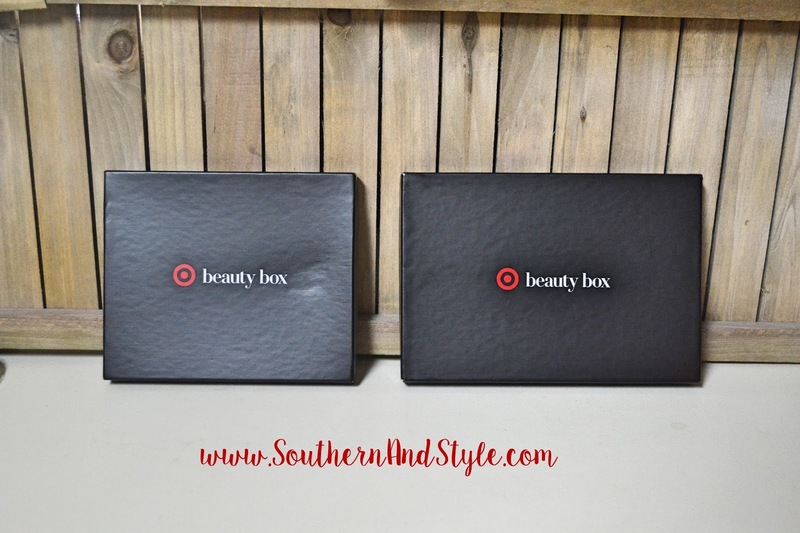 I was only able to get the Fresh & Fabulous box which was the one I was most excited about. My favorite products ended up being the Sweet Spot On The Go Wipes and the NYX Butter Lipstick I got. I got the color Fun Size. This box was awesome. I can't wait for next month's. A fellow blogger friend told me about the Sephora Play Box, which is similar to this one. I'm on the waiting list for that one. I always love reading these posts! It seems like you got some really great goodies :) I'm a big Tom's of Maine fan! I had no idea that Target does this! This is so cool! Oh how fun! I'll have to check out their boxes, thanks!